The Transportation Security Agency (TSA) announced on Thursday this week that the PreCheck program are being expanded to 11 airlines effectively immediately. The program now includes a total of 30 TSA PreCheck airlines. The latest expansion brings the number of airlines participating in the TSA PreCheck programs to 30. The other 19 existing TSA PreCheck airlines are: Aeromexico, Air Canada, Alaska Airlines, Allegiant, American Airlines, Cape Air, Delta Air Lines, Etihad Airways, Frontier Airlines, Hawaiian Airlines, JetBlue Airways, Lufthansa, OneJet, Seaborne Airlines, Southwest Airlines, Sun Country Airlines, United Airlines, Virgin America, and WestJet. 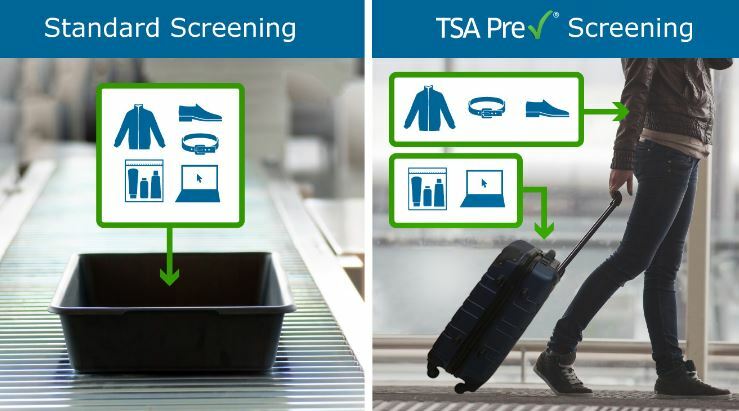 TPA PreCheck is an expedited screening program that allows passengers who have undergone background checks to move through expedited security lanes without taking off their shoes or removing electronics from their bags. You can find out more on TSA website. Travel & Leisure also has a good article on everything you need to know about TSA PreCheck. You can apply for TSA PreCheck for a cost of $85 for five years. You are also eligible for TSA PreCheck if you are a member of the U.S. Customs and Border Protection Trusted Traveler programs, such as Global Entry and NEXUS for Canadian citizens. TSA PreCheck is also available for U.S. Armed Forces service members, including those serving in the U.S. Coast Guard, Reserves and National Guard.